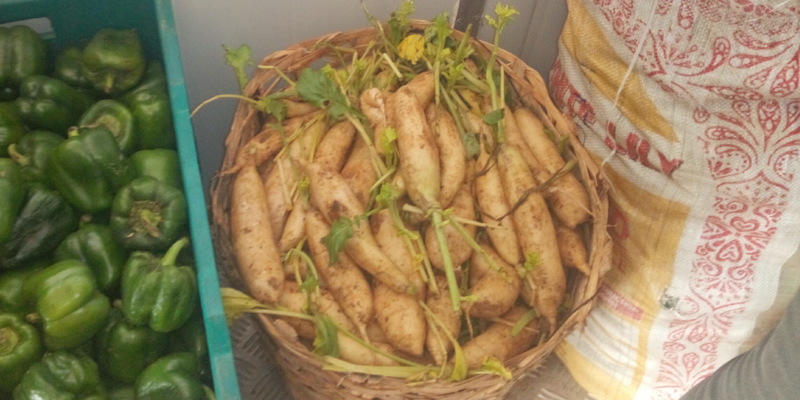 Relief Market ColdHub received and stored its first radish consignment for three weeks, this January. Radish (Raphanus raphanistrum subsp. sativus) is an edible root vegetable, grown and consumed throughout the world, but mostly eaten raw as a crunchy salad vegetable. Radish is known to control damage to our red blood cells, and in the process also increases oxygen supply to the blood. They are a good source for anthocyanins that keep our hearts functioning properly, reducing the risk of cardiovascular diseases. Radish also provides our body with potassium, which can help lower our blood pressure, and keep our blood flow in control. Radish lasts for just 2- 5 days without cold storage, but when cooled at 14 -18o Celsius, the shelf life can be extended to more than 15 days.